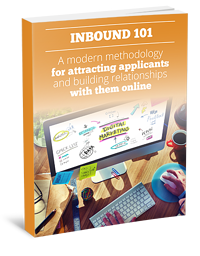 Are you having trouble attracting the right applicants? Schools that want to increase—or even maintain—their applicant pool in the 21st century must meet applicants where they are: online. Inbound marketing is all about controlling that online conversation: attracting more potential students online, building relationships with them, and getting them to apply. But just what is inbound marketing? Will it work for your school? Fill out the form on this page to learn more about how inbound marketing can help your school, college, or university get found online.